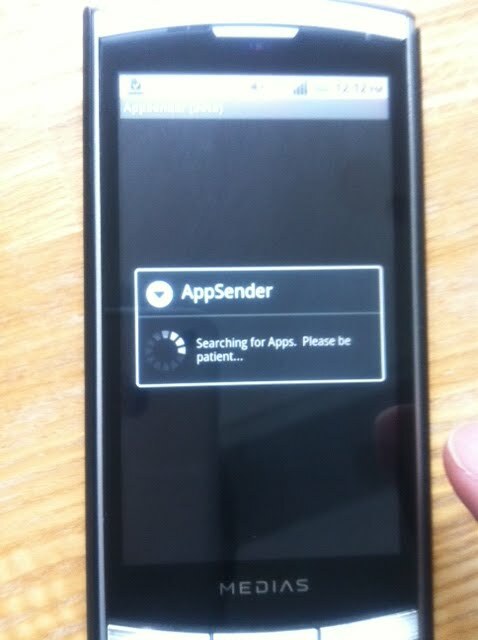 The main reason for the update was to fix the "blank screen" problem reported by new users when launching AppSender. I have found that AppSender was functioning, but was simply taking a bit of time generating initial application list for various reason (low memory, too many apps installed...etc). 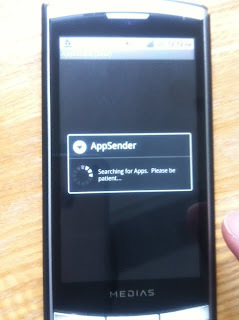 To help resolve this problem, AppSender 1.7 will now display a dialog box. Probably much nicer than looking at a blank screen. Hopefully, this will help the user see progress while waiting patiently for the app to start. The App will now display the following next to the App name. Please note Copy Protected Apps cannot be shared. As always, if you have experienced any bugs, it would be greatly appreciated if you can contact me at moto.android.software@gmail.com. Please include as much information as possible to reproduce the problem. I will try my best to fix it soon as possible.